Beading has been an extremely fun hobby recently absorbed under the guidance of a friend, let us call her Mrs. BeadMaster. She is an amazing woman who inspires me to create fun projects such as these, she is the engineer who taught me to create all of these fun items. Let the photos speak for themselves. 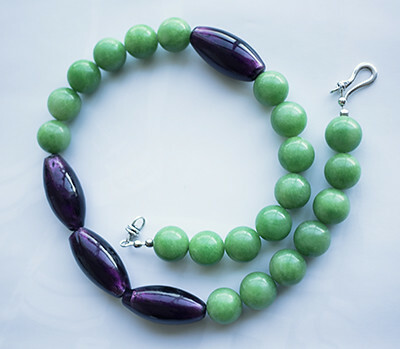 Necklace – This is one of my first pieces and I loved the colour combination. It has now a home with my soul-sister as a Christmas present. 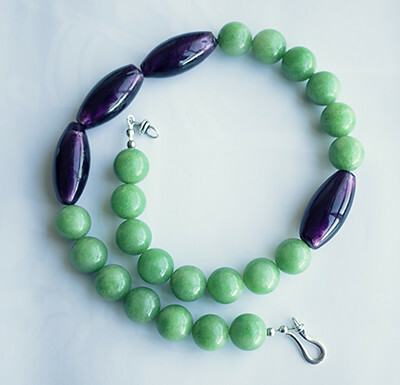 It is using green white jade round beads with purple glass beads. 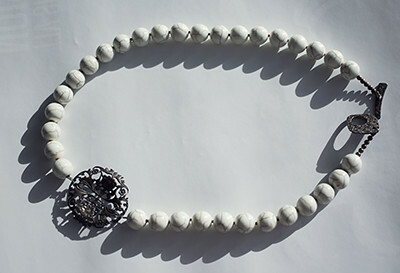 Necklace – This is also part of the first batch and I love the texture of the white turquoise round beads as well as the filigran piece. 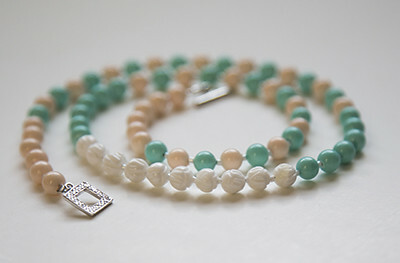 This necklace also has found a home with my sweet friend, whose lovely wedding I was part of last September. I need to keep her happy since she sends me boxes of chocolates at Easter and Christmas :). 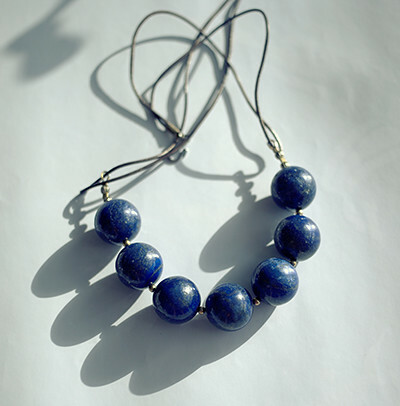 Necklace – Lapis Lazuli, this is still one of my favourite necklaces to wear. 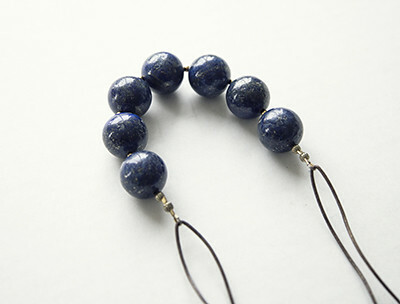 They are two strands of these gorgeous beads, on leather strings and I wear them both. A third one was made later on and it too has a home now with another friend as a Christmas present. 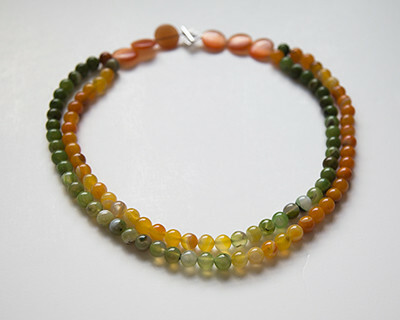 Indeed there is a trend, my new gift for you may be a necklace so beware. 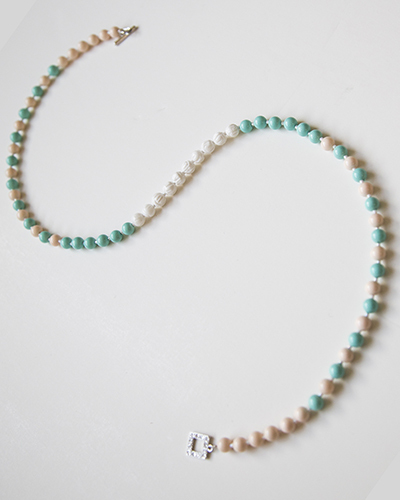 The following two necklaces are from our latest beading session and this one is made with shell pearls, light pink and turquoise and mother of pearl center pieces. 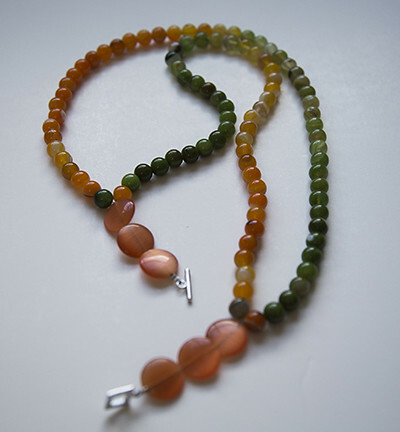 This necklace was a gift for the Mrs. BeadMaster herself; a little thank you for all the support and inspiration she has provided me in picking up what is one of the most relaxing hobbies. This last piece was fun to do, so were all the others but the colour gradient was fun to do. The beads are semi-precious and I think they are agate, but not 100% sure. This fun piece is also a gift for a friend who for the past two years has been a constant support and help. 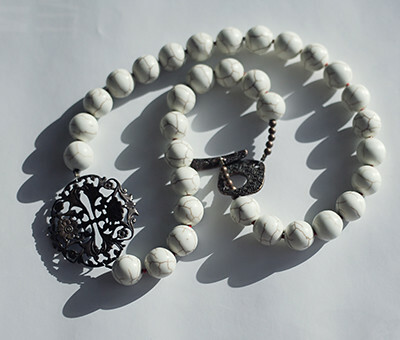 Similarly to the photographic prints, making these necklaces brings me a lot of joy to have something palpable that I, or friends can enjoy. Also beading days with friends are such a fun way to spend a day, highly recommend it. 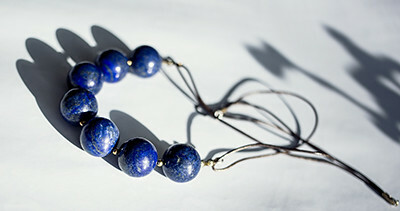 This entry was posted in Mon Atelier and tagged Beading, beads, lapis lazuli. Bookmark the permalink.